The 2018 Green River High School volleyball season is well under way. Games have been played both away and on the Pirates’ home turf. The first four matches were hosted at home. On Aug. 17, the Pirates welcomed UMA and were able to walk away triumphant with a final score of 3-0 (25-14, 25-10 and 25-9). Next, the team hosted Escalante on Aug. 24 and were bested 3-1 (25-16, 11-25, 25-27 and 25-22). Tabiona next traveled to Green River on Aug. 25 and beat the Pirates 3-1 (25-23, 24-26, 15-25 and 18-25). Finally, the team welcomed West Ridge on Aug. 28 and once again claimed a victory with a final score of 3-0 (25-13, 25-10 and 25-10). The Pirates have also traveled to Wayne, Monticello and Escalante on Aug. 30, Sept. 4 and Sept. 6, respectively. Scores for the away games have not yet been made available. 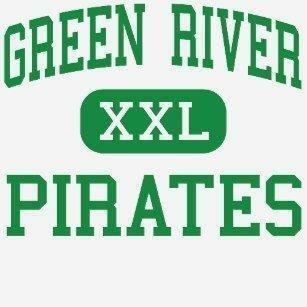 Next, Green River will play host to the Pinnacle Panthers on Sept. 13.